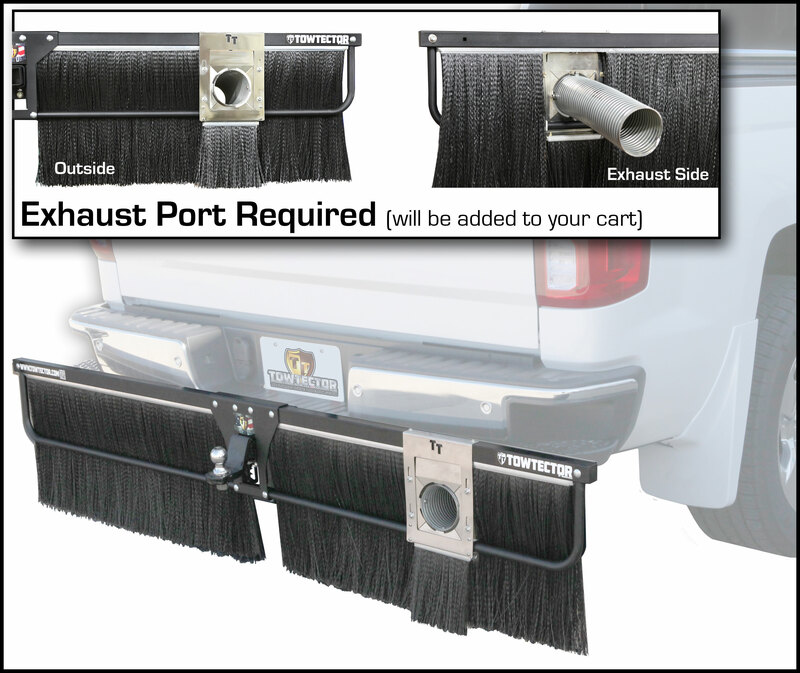 Through our history of producing 1000's of Towtectors we have identified vehicles that - due to their specific kind of exhaust system, can potentially damage your Towtector. Similarly, we know that your vehicles exhaust type can damage other traditional mud flaps as well. So, we responded to our customers needs by being the only manufacturer to make a special addition perfectly suited to your vehicle. The addition of an exhaust port directs the heat away from your Towtector, saving your hard earned money on replacement -and making it last for years to come. Purchase with confidence from a manufacturer that knows YOUR vehicle.